How could Haig Park be improved? A little while ago, I wrote a few pieces about Braddon. In amongst the many different aspects of the suburb, I brought up the concept of significant changes to Haig Park. The reason for this park, being a windbreak, has now become a thing of the past and the city needs to reconsider how this valuable green space could be redesigned and configured to serve the locals far more than at present. The park itself is not a friendly place to be any time of the day or night and can be a terrifying experience for those residents who need to cross over it. There is not enough lighting and because of its reputation for strange goings-on, it remains very unfriendly. The trees were planted in regimented rows as if it is some form of military parade. With the intensification of residential units in the surrounding areas, this green space needs to be to become a space used by many people any time of the day or evening. However there is much wider agenda at play here. In my opinion, this park is key to what could one day be the North Canberra Greenway. This would mean linking the green spaces presently alongside the drain from Hackett via Dickson, the Lyneham Wetlands, though O’Connor to Turner making the left turn into a newly designed Haig Park. The planning for the total Greenway could happen any time now with the delivery being staged over many years as various sections are upgraded. Along the way the Dickson Drain should be modified to return it to a waterway with linear parklands each side and with links into the Dickson shops as well as into the many neighbourhood streets. Another key to this is the section of land in Dickson, presently officially classified as Section 72. This needs to be retitled as the Dickson Cultural Parklands. 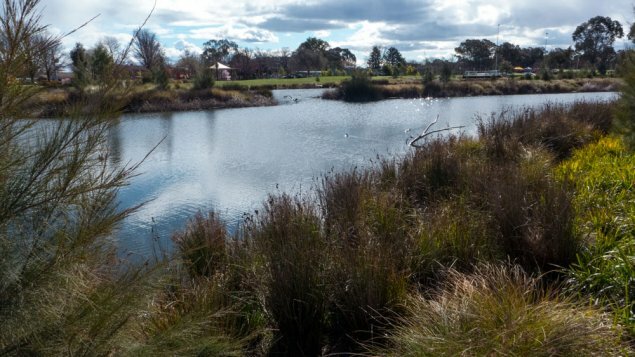 There’s a battle ahead for the resident as the ACT Government’s developers have already marshalled their friends to have this valuable community site rezoned to allow for even more multi-unit developments. I will return to this story another day. 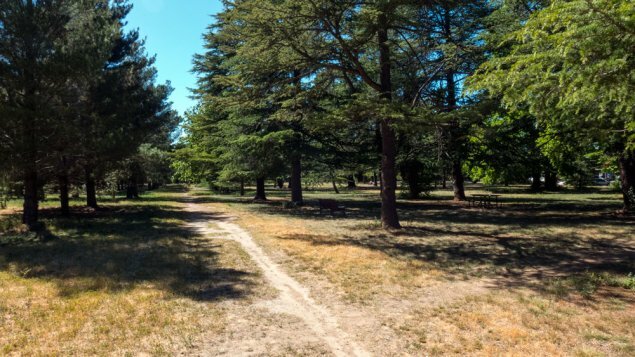 North Canberra Greenway could start at the top with the popular Dickson Wetlands and have separate paths for walking and for cycling. Along its length should be several playgrounds, picnic spots, a selection of public artworks, increased greenery and landscape designs and anything else that would make the whole walkway attractive for people to get out and take a walk or ride and to undertake exercise in the fresh air. If you look at a map of this part of Canberra, the basics for a greenway are obvious as most of the proposed route is already coloured as if it is a long linear park. So what next? Somehow we have to find a leader with vision amongst those who wish to be considered in the next ACT Government elections. That person or persons should be asked to commit to the planning for the North Canberra Greenway. And while we are asking questions, maybe even ask if they could commit to resident friendly planning and development and to put in place new structures to bring about developments that avoid the constant clashes with residents. Is that too much to ask of politicians who wish to be elected? 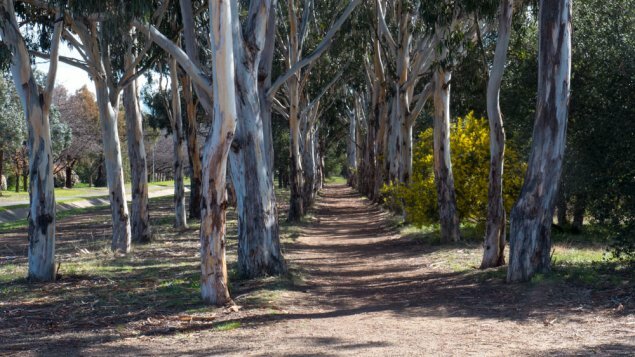 So back to the topic for today: With some creative thinking and intelligent planning, the North Canberra Greenway could be a huge benefit to the ambience of these established suburbs along with encouraging even more outside healthy activities. Will the politician with leadership please step forward – I am more than happy to discuss this in more detail than allowed for through this post. I like the idea of a connected greenway, but I disagree that Haig Park is “not a friendly place to be any time of the day or night”. I live opposite it and like countach I love walking through it during the day. I find it a beautiful, shady and calming space. I don’t walk through it at night, granted, but I feel equally uncomfortable walking through Glebe Park and Commonwealth Park at night. I’m perfectly comfortable walking past it at jight on busy streets like Torrens and Girraween. People already use Haig Park for picnics and other activities (I saw a full outdoor dining room being set up there recently!) But I agree that some more seats, some bbqs and perhaps a path along its length would increase usage, which would also increase the feeling of safety in the park. And btw there are already lights along the path near my place at least. Haig Park is a perfect target for redevelopment into a modern, open green space. Get rid of a bunch of the trees and open it up, some nice park furniture, grassy spaces, playground equipment for kids, maybe a couple of ponds with ducks, etc, and you’ll have a true inner city sanctuary worth visiting. Then maybe move the food vans in Braddon to a position right at the edge of the park, so you can choose your cuisine then enjoy it in the park. What a great opportunity we have here. Sounds suspiciously like another “pop-up” proposal. Suggesting that food vans sell cuisine is tantamount to that Scottish hamburger chain calling themselves restaurants. Food vans don’t fit comfortably with nice park furniture and grassy spaces. Huh? Being able to buy food and take it into the park to eat is a bad thing? Sorry, but some people like the outdoors. I see your point but my idea of enjoying the outdoors is to take a picnic lunch. Food vans are more suited to service late-night drunks who don’t care what it taste likes but it must be greasy to facilitate the return journey. I really suggest you try the Mandalay Bus and some of the pop-up vans down in Lonsdale Street, that will change your mind. I walk in Haig park at ridiculous hours of the night, and I’ve never had a problem. How precisely do you “link” green spaces? They are not moving anywhere, so they are about as linked as they are ever going to be. I don’t see too much of a problem as it is. I’d like to see the drains covered over in far west Haig park, and the bits of the park near the bowling club reunited by covering the drains. A few more seats maybe, and another barbecue or two, what exactly else is wrong? I don’t find the “forest” to be gloomy. Yeah, it’s not a park where you can play cricket or anything, but there are other places for that. I heard that inner-planetary aliens have been abducting earthlings late at night in that area. Burn it down so they turn it into an Arboretum. Regular patrols by heavily armed police officers after dark. Yes! I think this every day when i drive past this deserted strip of grim rows of trees. In Melbourne they are buying back houses to push over to make parks. People do need some green space. Haig park would make a lovely spot if it had any sunny grassy spots. Says you. There are some excellent vans and the existing the Mandalay Bus next to Haig Park is amazingly good. Is Tuggers really such a desperate backwater? A few communal sporting areas wouldn’t go astray in amongst all those apartments. Half basketball courts and half sized soccer fields should be a big hit. I live opposite a school oval and there are plenty of regular games going on at weekends and summer evenings. It can actually be a pain for neighbourhood kids to get a chance to use the basketball court or soccer goals when there’s a 4 hour soccer match happening at peak times by a bunch of drive-in adults. I made a comment on another thread about Haig Park and its near vicinity to the 1,000 units to be built in Northbourne Avenue as a backdrop for the transit hipster tram track. The comment was moderated for some reason, possibly because I mentioned that besides death-cap mushrooms being found in Haig Park it was possible that the hallucinogenic variety were there too. I don’t know what they were thinking; maybe trying to keep a secret? There are already plenty of used syringes lying around in the Haig Park car parks. All good reasons to turn Haig Park into a Real Park. Or are you saying you want to turn it into a Car Park? btw Tram or no tram, Northbourne is already lined with high rise apartments. Go tell them that they are getting it all wrong! Chop down the trees and electrify it. Just what we need in this modern era of global warming. Really? Do you have the tip-off that the fix is on? Have you some insider information? If so, you should share your gossip so that to forces can be gathered to oppose it. I guess if you won’t do that, you are just doing the old journo’s trick for a slow news day. Most of the trees will have to go. They made the mistake of mass planting conifers in tight rows. All of which have grown massively into a pointless gloomy and unnatural forgotten forest. It is in eternal shade and has no open areas to do what people do. As Braddon is being developed it really needs some lungs, hopefully with a surrounding circle of well attended lively cafes, restaurants etc. Let’s the parents watch the kids and dogs playing from the comfort of their cappuccinos. My vision would be for the Light Rail to connect through Lonsdale St heading up to Dickson with a mix of Medium/High rise apartments along the way, cafes etc under, and pocket parks en route for the enjoyment of the residents. Get away from the long tradition of Canberrans to hide away in their suburban ghettoes or in their cars en route to mass car parks attached to the dying shopping malls. The ex DFO is barely on oxygen. Woden Plaza is starting to look sad and frail. The Hyperdome always was, so hard to tell its state of health, and Belconnen is the waiting room for Weight Watchers. People have moved out of the 60’s obsession with suburbia, shopping malls and cars. Back to an outdoor life style worth living. 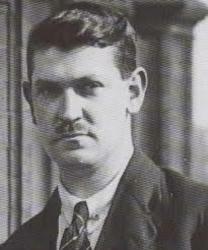 Braddon is the first step.